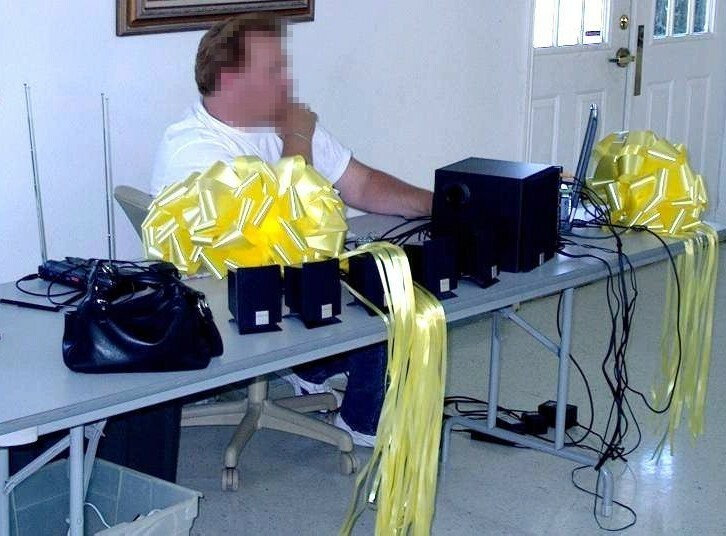 Back in the olden days of mobiledjdom, event guests were treated to seeing a typical MDJ’s set-up featuring loose, dangling wires on a tablecloth (or not) covered banquet table. Then, rack-mounted cases came along and to create a better presentation, a few handy DJs designed and constructed their own facades/front boards/DJ booths. It’s true. Necessity really is the mother of invention. Fast-forward several years. 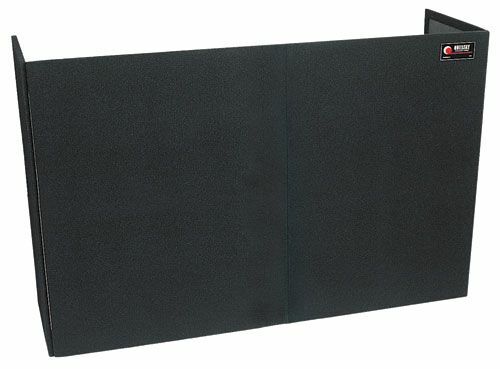 Grundorf and Odyssey began manufacturing portable, “DJ Booth” hinged facades covered in black or gray carpet. Some mobiles caught on because they saw the value in “cleaning up their act.” Mitzvah DJs in particular seemed to pay more attention to good looks – often creating their own booths, stages, backdrops and even light-up dance floors. In the new millennium, DJ Skirts came along with pvc pipe and black lycra fabric facades (lady in red not included.) 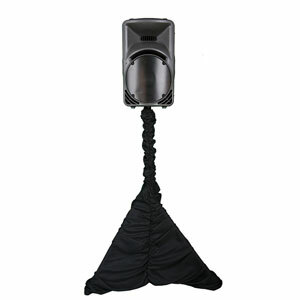 They also showed us how to dress up our stands with speaker stand covers. It seemed our industry was starting to come of age when it came to professional appearance at performances. In the past few years, a whole new generation of facades/front boards for LEDs have emerged. Dragonfrontboards.com, djliteboard.com, odysseygear.com all offer them. My personal favorite is the “faCIEd,” which is a custom-made front board by DJ Steve Cie. I find them to be both highly-attractive and extremely well-constructed. 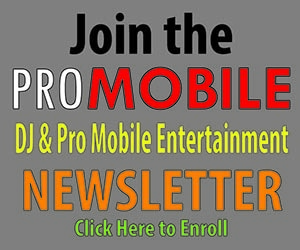 If you want to earn top dollar as a professional mobile disc jockey entertainer, then you’d better look good. There really is no excuse for a weak presentation given the many options available to in the marketplace. Has “cleaning up your act” helped your business grow? 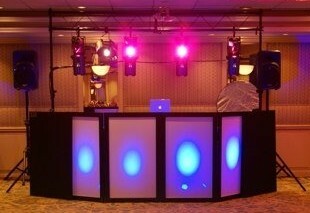 Facade/Front Board/DJ Booth fanatics, I want to hear from you!